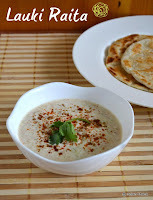 Lauki Raita is best specially during this summer time due to bottle gourd high water content. This serves itself as a side dish for paratha or any variety rice and it's also one of Navratri fasting recipe, if you don't use red chilli powder during fasting then add green chilli and rock salt/sendha namak. But try this any day and you going to like it, it's very simple hardly takes any time. I made this in microwave but you can cook bottle gourd on stove too. 1. Wash, peel, de-seed and grate bottle gourd. 2. In a microwave safe bowl add grated bottle gourd, salt and 2 tbsp water. Microwave 2 minutes on high or cook in stove top without later until soft. ~ If your bottlegourd doesn't becomes soft in 2 minutes then microwave for another minute or so. 3. 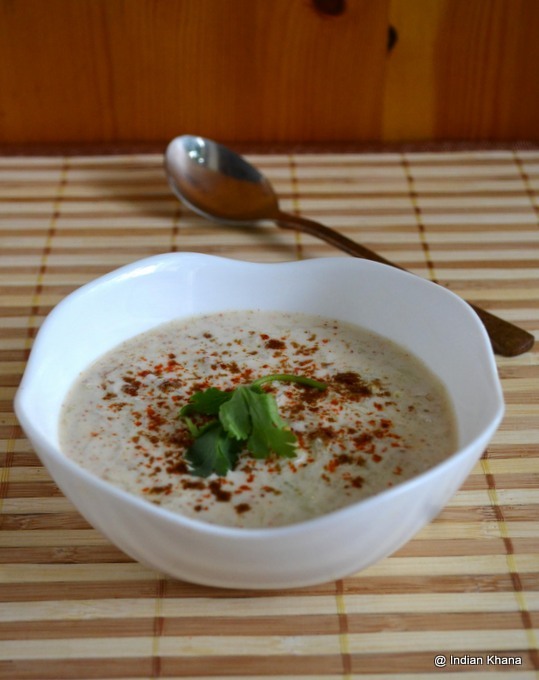 Remove bowl from microwave and add beaten curd/dahi, red chilli powder, cumin seeds powder and mix well. 4. Chill and server with red chilli powder, cumin powder, cilantro garnish. 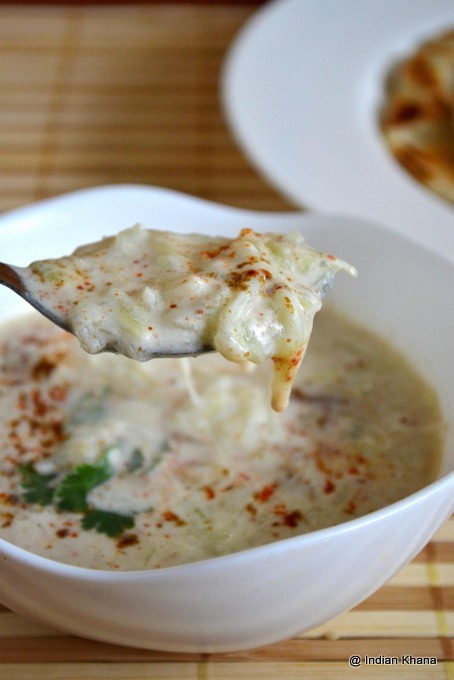 Very refreshing and beautiful raita. 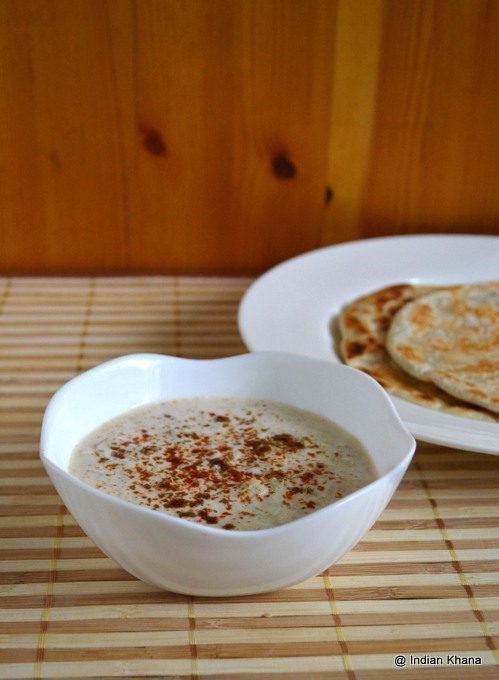 Love this raita, your pics are beautiful! 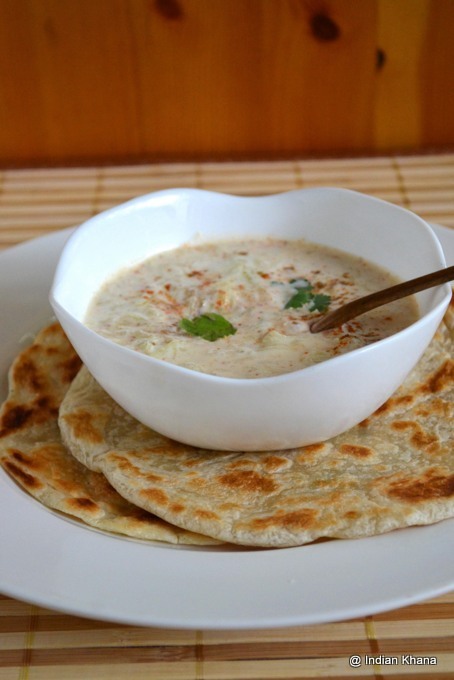 Raita and paratha perfect for the summer!